To make sure you get the best deal we'll show you great prices from all of our drivers, including M. Asim Collection & Delivery, if they're available on the day of your move. Have a question for M. Asim Collection & Delivery? No problem, send them a message and they'll email you back as soon as possible. If you have a more general question you might find it answered in the FAQ, or you always contact one of our brilliant customer service team. * M. Asim Collection & Delivery won't be able to see your email address. I started my work with Compare the Man and Van a year ago. Before start, I want to mention my van. I have a LWB (large wheel base) which is bigger than a medium van (obviously!). If you have more stuff, it will be easily fit inside - you could save some money as well. I am an honest, resposible, reliable & confident driver who tries to do his best for customers. I always try to keep my van clean for customers, as you can see in pictures. I always carry straps, a trolley & blankets to protect customer's possessions & funiture. Customer satisfication is really important to me; as anyone can read my reviews that I get from customers. I am fully insured, and have all of the related documents. I can cover anywhere: Local or Nationwide! I like to work during the night as well, so if you're thinking about moving in the night you are most welcome to book my service. No matter the size of the property, you can book me for any time . I have updated my calendar, so have a look & book me for a time which suits you. Thanks for reading my profile - I look forward to seeing you!! I booked the wrong time in error, and Asim was very flexible, helping me to rearrange. Really appreciated how contactable he was - great service! Muhhmad was fantastic and made moving a really straightforward and enjoyable experience. He was a little late but made us aware of this and it didn’t cause any problems. Would absolutely recommend. Asim was amazing and supportive. I'll book him again definitely and recommend him to my friends. Excellent service and really helpful. I would definitely recommend and would book again! Asim was fantastic. Friendly and super organized and efficient. Will definitely be using his services in future. Asim was very helpful. Highly recommended. Mohammed was a little bit late due to a Festival in the area and roads being closed. He sent a text to inform us he would be late and gave us a new arrival time. Mohammed was helpful and very polite. We chatted freely on our journey and enjoyed learning about London. We would not hesitate to recommend Mohammed. Driver was 7 minutes late but messaged in advance to inform me that he was running late. He was very friendly, respectful and efficient. I would definitely use him again. I didn’t appreciate being asked for extra payment because it took two trips to move especially considering I moved 1 mile down the road, the driver was 20 minutes late and we finished approx 30 minutes early. But the service was fine apart from this. There is a small additional charge (generally approx £5) charged by the driver if you ask him to make more than one trip for you, not only to cover additional mileage but also the fact that he is being asked to load/unload the vehicle for you more than once. Very professional, helpful, and good conversationionalist. Will definitely use again. Mohammad helped me bring all my possessions inside - I would highly recommend this service. Asim was on time as he said, a very pleasant person, eager to help and knew the best route to my destination. He had blankets and straps so none of my items got damaged. Amazing all round and would definitely use him again. Amazing driver! Would definitely recommend! Great guy, really helpful and friendly. I would recommend the driver and will definitely be using him again in the future. The delay was only 10 minutes so not problem at all. I will certainly be contacting Mohammed again if I need a ‘man and van’. Thanks!! Brilliant and helpful, very easy to book and arrived bang on time despite a booking for midnight. The driver was very nice and hard working! I would recommend him to everyone! The driver is extremely nice ! Highly recommend him ! Great service ! Asim was great. Friendly, helpful, and didn't mind at all that we had to do an extra pickup on the way to the destination. Highly recommended. Driver turned up on time, very easy to deal with and helpful. Good chat on our journey. Very good and would use again. Thank you so much! The driver was very nice and helped with moving the boxes as required. I was happy with the service itself but the driver was 2 hours late. We are sorry that the driver was this delayed to your booking. We do have a lateness refund policy which you will find attached to your email confirmation. Extremely pleased with the Driver and service provided. Very professional, courteous and helpful. Really fast and convenient service. Driver was professional and friendly. Made a stressful event very easy. What an amazing guy. Friendly, helpful, totally spot on. The driver was a bit late, but very nice and efficient, I would definitely recommend him. Great guy - would move with him again! The guy was absolutely good he was very respectful and helpful. I would use his service again and recommend him to family and friends. Very helpful and understanding. Efficient as well! Mohammed was charming and helpful! Would recommend! Simple job and Asim polite, friendly, flexible throughout and tackled the traffic well. Muhammad was such a lovely and helpful chap! 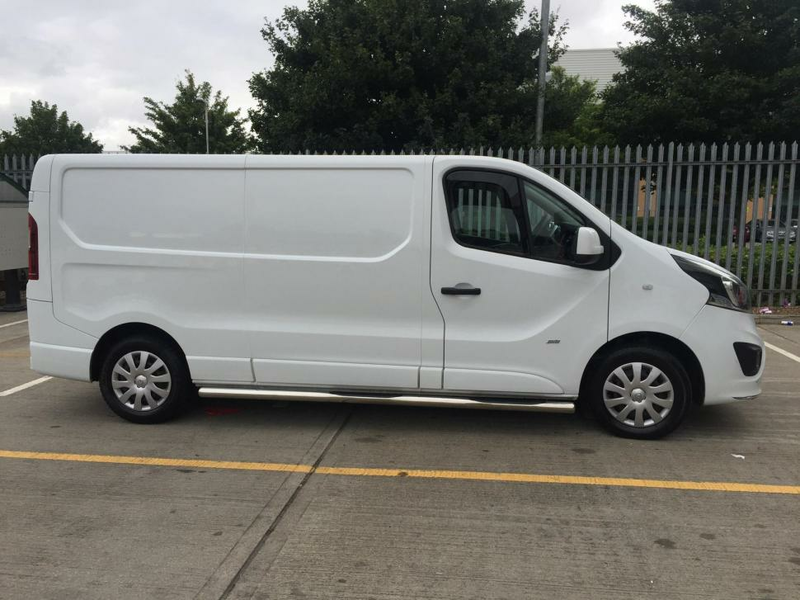 I highly recommend compare the man & van services. The driver was incredibly helpful, efficient and friendly. He had planned the route well in advance and made plans to beat the traffic. I was very impressed and would definitely recommend him. He was very nice! Great service! Mohammad was fantastic. Great driver, very quick and conscientious towards my stuff and flat. He was friendly, and very helpful, certainly going above and beyond. Can't recommend him highly enough. The driver was fantastic and really helpful. We had moved from my old flat and everything in the new flat in less than an hour. Delighted with the service. I cannot recommed this guy enough. He was on time, polite, helpful, fast and very well organised. I have had many bad experiences with van hires so it was extremely refreshing to find someone so professional. This guy was great. Just what I needed and gave me a good service. Mohammed was friendly, super quick and brilliant! Would highly recommend! Muhammad was fantastic, would recommend! Muhammad was just great. He arrived right on time and got straight down to work. Together we cut through the move efficiently and with care. He carried right on through a few heavy spots of rain. He was a lovely chap - smart, amicable and easy-going which made the whole thing feel much less stressful. Very highly recommended. Very courteous , pleasant and great service. Muhammad was fab. There were some traffic problems, but we still finished within time. He is friendly and highly effective - packing the fan with all my stuff was an intricate game of tetris! Thank you! Muhammad was really friendly and punctual. He was very helpful and made the effort to help us as much as he could. Really amazing service. Great guy. Can do attitude. Even managed to get my motorbike on to the van! Keen to please and of solid character. Hard to find in such short encounters. Muhammad was an excellent helper. He was very prompt and friendly on arrival. He couldn't have been more helpful and worked hard to provide an excellent service door to door ensuring that my belongings arrived at the destination in the same condition as they left the start location. Very impressed and wouldn't hesitate to use him again. Thanks Muhammad. Perfectly in time, very nice and helpful, nice chat on the way to the new place! 6 stars!! It was really good, he helped us with the bags and we finish the move in less than 30 minutes, I will recommend it without hesitation. Excellent service, great help from the driver! Absolute superstar. Mohammed was upbeat, always smiling and very thoughtful with his approach to packing. He was very quick and the energy levels were impressive given the load of stuff I had. He really made an otherwise painful moving experience into an enjoyably efficient one. I have him on speed dial for future reference. Thanks Mohammed! Super friendly and helpful. Made mine and my friends move smooth with minimum stress. Driver Muhammad was excelent. Very helpful. I am happy. Mohammed was a total legend. He arrived late but made up for it with all his help and support. A really lovely guy who did all he could to make the move as stress free as possible! HIGHLY RECOMMEND. Muhammad was great! He's was a lovely guy and very professional, conscientious and very careful not to do any damage to the flats or objects being moved. I'd definitely highly recommend him! Lovely driver who was incredibly helpful throughout! Definitely went out of his way to provide an amazing service. Thank you! Would thoroughly recommend! Our driver was excellent; prompt, very helpful at lifting and organising the furniture, and good to speak to on the drive over. Thank you for making the move as stress free as possible. Would high recommend Asim - very quick and efficient. Treated my stuff very carefully. Thanks! A Very friendly, professional and helpful driver! Muhammad was very helpful from beginning to end, my brother was meant to help but fell ill, Muhammad was more than happy to help me load the van at the pick up point and unload at final destination. Good drive up too, was a very calm move like being with a friend I would be using his services again in the near future. Thank you Muhammad for making what was a stressful and emotional time a peaceful moment your aces in my book. Our driver Mohamed was brilliant. Helpful, he went over and above his duties and turned a stressful experience into a very easy one. I would recommend him to anyone! Very friendly, nice chatty guy. Made the move as easy as possible! His service was very good. Right on time, very nice and so helpful as we had a lot of boxes, he took time to organize all of it nicely in his van. If we have to move again, we'll call him again. Muhammad was amazing!his van was really tidy and clean and we had a pleasant chat during the trip. I totally recommend him! Was perfect and surprisingly effortless considering I was moving house. We moved in half the time! 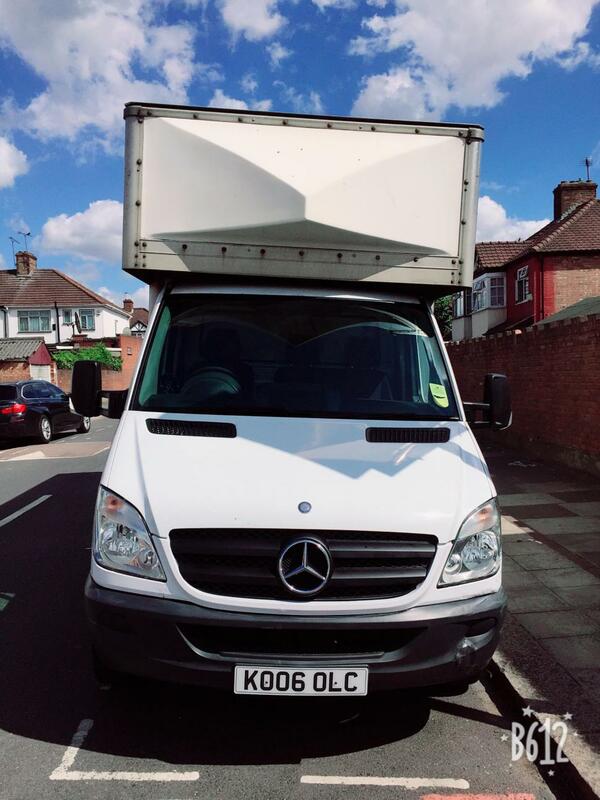 Muhammad made the whole moving experience so easy - he was very helpful and respectful and we had a pleasant chat on the van. If you are looking for a quick, efficient, and very positive moving experience, Muhammad is definitely the right 'man in a van'! Amazing service. He was very helpful and everything went smooth. I would recommend this driver to anyone. We thought he was great, friendly, helpful, efficient! He was fantastic. Helped me move the stuff in no time and had a friendly chat over the duration for he journey. Would highly recommend! Very friendly, helpful and polite. Made the move really easy and I would use his services again. Asim was a superhero! He made my move so easy and me feel so calm and relaxed about it. 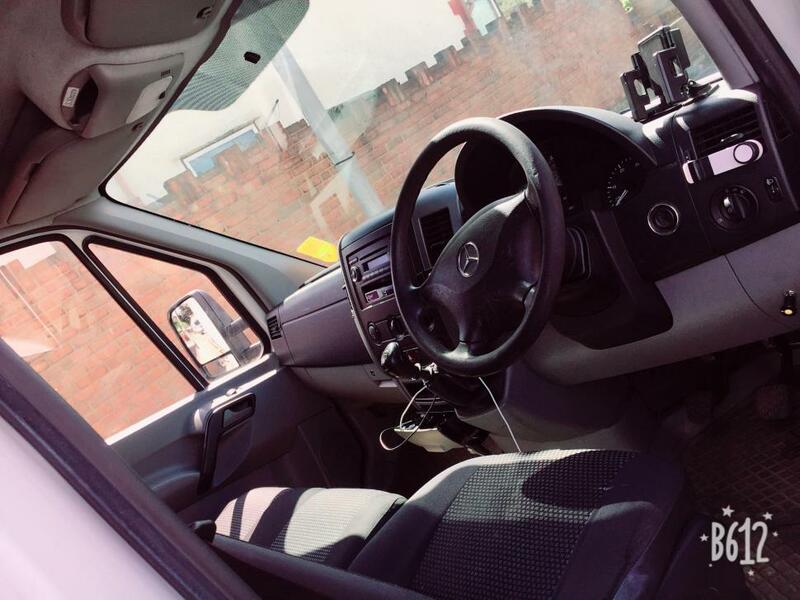 The van was extremely clean, he was friendly, professional and has excellent chat. He was very accommodating, I needed the change the time to a slightly later one last minute and he was totally cool about it. He will be my number 1 choice for a man in an van in the future, I highly recommend! The move was very smooth. The driver came on time and as requested he helped me with the move. I would say that the service provided by the drive booked through compare the Man & Van was excellent. I would recommend this service for anyone. Really lovely guy! He was running a little late but texted to let me know well in advance. Helpful and very professional! Would recommend! Muhammad was courteous, helpful and on time. He had a great attitude and I'd happily recommend! Muhammad, with his good manners and expertise, made what would've otherwise been a really stressful move day, a lot more bearable. 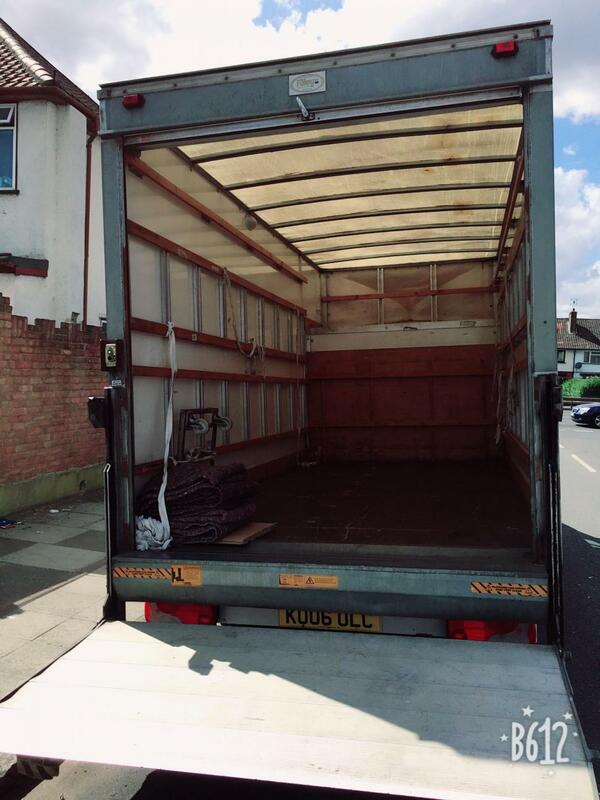 I genuinely recommend Muhammad's man and van service, for their house move, to anyone. Five stars! Mohammad was great, really helpful. He went above and beyond to help with the move. Muhammad was incredibly helpful with my move. He was early on arrival, which was perfect and was quick, efficient and good company. Would definitely recommend and use again. Thank you Muhammad! Moving with Muhammad was great! He called me the day before the move to inform me that the time I had chosen was not the best regarding traffic in central London; which was very thougthful of him so we agreed on meeting later and saved lots of time stuck in traffic (and extra fees). He came on time; we moved all my things together - he was very accommodating, friendly, attentionate and helpful. A great chat while driving. Overall a very pleasant man that made the move smooth and stress free. I would recommend a 100%! A very nice man who helped with all the boxes!! Thanks a lot!! Muhammad was absolutely brillient, good conversation, considerate of my items, packed the van like a tetris world champion, constantly worked to beat the traffic, went above and beyond what he needed to do at every stage. I cant recommend him highly enough. Muhammad was very helpful and professional, and made our move as easy as possible. Would definitely recommend! Just an amazing guy! The best driver ever! Highly recommended. Muhammad was a really nice man he was early and nothing was to much trouble. When there was extensive traffic he took another route to save time with ease and patience. He was really easy to talk to on the drive over and we finished early. I would highly recommend Muhammad and will be using him again in the future. Muhammad was brilliant from start to finish - would 100% recommend and use again. The driver was extremely helpful, courteous, efficient and friendly. I would definitely recommend to others. great driver: well mannered, honest,on time and extremely helpful! The driver Mohammed did a fantastic job. He was right in time and took care of my effects in the best way possible. He was very friendly, supportive and efficient. He also drove very carefully through London to my new address and on location helped again with unloading. Very efficient, helpful and friendly. He was extremely helpful and very polite. I did not feel rushed at all and the move was a relaxed process. Definitely would recommend! Driver was extremely nice and helpful, drove safely but quick, everything perfect! Will definitely use mohammed in future! Mohammed was very helpful and efficient and got the job done quickly. We would use him again. Thanks! Excellent service, driver was punctual and very efficient. Also a very nice chap! Would recommend. Muhammad was very professional and helpful. He ensured the move was efficiently completed within the 2 hour timeframe. He was also friendly and easy to deal with. I would definitely recommend him to others. We needed a trolley to carry the heavy things. CMV response: The driver has provided proof that he does in fact carry a trolley to all bookings. Really friendly, really helpful, bang on time, careful with property - I'd give Asim six stars if I could! He made a move that I was dreading, easy and quick. I would recommend him highly. Very good, friendly, hard working, great job! The driver was absolutely respectful,on time,friendly yet professional. He was simply brilliant!!!. Driver was very friendly and made the job very quick and easy. Really helpful driver, had packing down to a t!